The Grand Rapids Planning Commission wants to make changes to a city ordinance allowing 'by right development" eliminating neighborhood input. 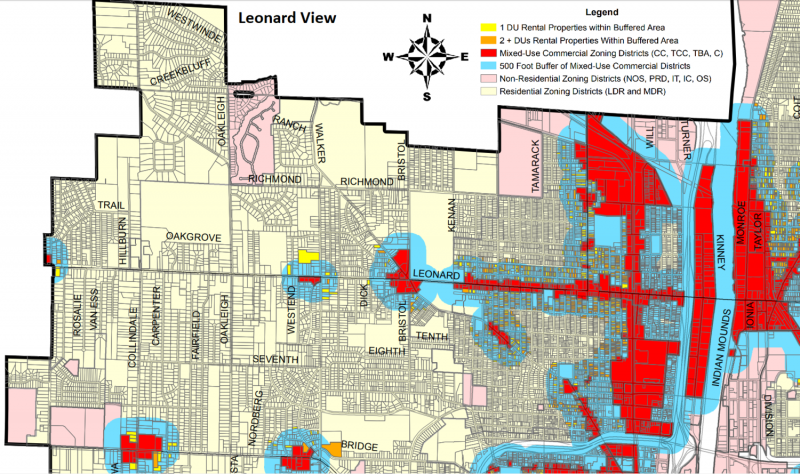 Each quadrant of the city is planning a community meeting to discuss these changes. WGNO will post dates/places as they get them. 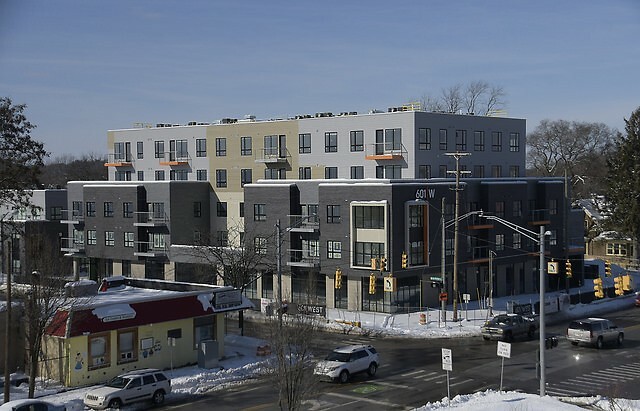 To see the history and impact of this proposal, as well as a glossary of common planning terms, read more from West Grand Neighborhood Association here. To fill out the neighbor survey on these planning proposals, skim halfway down this page to find the survey. 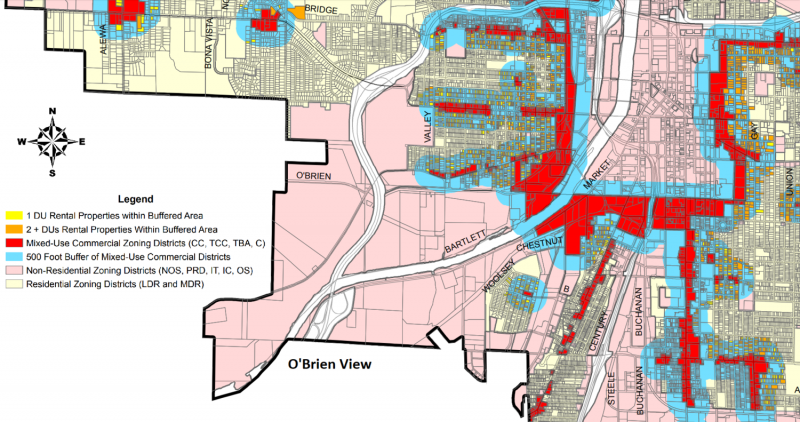 Neighborhood associations along with concerned citizens throughout the City of Grand Rapids are worried that under the guise of creating more affordable housing, suggested changes to zoning ordinances could take neighbor's say out of the mix on future development in the neighborhoods. During the January 25, 2018 Planning Commission meeting, the Commission recommended the City Commission pass changes that would mean people would not need to have a public hearing to get a zoning variance. So-called "by right" developments would allow developers to build qualifying projects in some areas of the city without going to the planning commission, avoiding public hearings. Under the new by right development rule, it would mean developers do not have to put in for special land use, but they would still have to go to the planning commission. They would still have to go through the permit process but they do not have to seek neighborhood engagement any longer. Kelly added that with some houses being in a deteriorated state some people may feel that it is a good thing to tear them down. Yet she worries about the people living in those houses. “There are people living in those houses and where are they going to go once they are displaced, while they build new four to eight units?” questoined Kelly. Marie Cimachowicz, Community Organizer at John Ball Area Neighbors, hears the horror stories of people in her area that are losing their homes in the name of growth. According to the Planning Commission meeting minutes from January 25, 2018, City Planning Director Suzanne Schulz mentioned projects on Diamond and several off of Fourth Street where they are demolishing single family homes for multifamily units. "They are building them as pods where there is a duplex that is really four bedrooms for students in each bedroom. It isn’t that that will happen in all cases but it is something to be aware of because it is currently a practice," Schulz is noted as saying. The City Commission is likely to discuss the Planning Commission's recommended changes at their next meeting. The next City Commission meeting will be February 20, 2018 in the Commission Chambers on the ninth floor of City Hall located at 300 Monroe NW.